MxPx fan pops the question with help from the band's frontman. 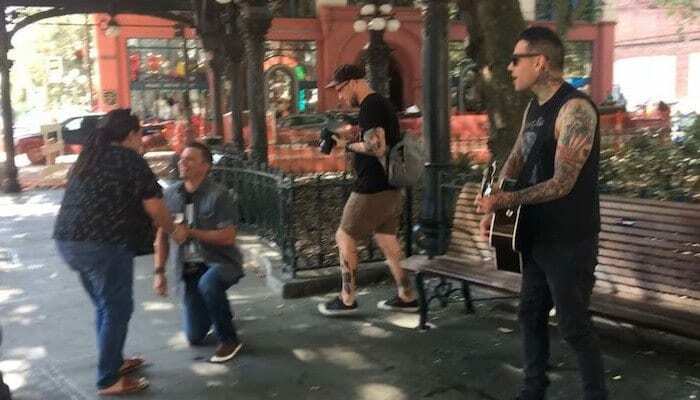 Who wouldn’t want MxPx‘s Mike Herrera to bust out in song during your surprise wedding proposal? That’s exactly what happened when one MxPx fan seemingly enlisted the frontman’s help in unexpectedly popping the question! 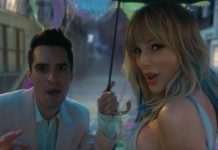 The newly-engaged couple, Josh and Angelica, have shared with AP the full video of Mr. Hererra performing a handful of wistful MxPx classics during the romantic surprise. Check out the complete proposal footage right here! MxPx recently released their first full-length since 2012’s Plans Within Plans — it’s a crowdfunded, self-titled effort that’s available now. Last month, Herrera shared via Instagram the group’s satisfaction with the tenth MxPx album.